Publication: mer. Monthly Mag. & Crit. Rev. 2: 119. Notes: Taxonomy follows FNA. Varieties weakly defined, intergradient with broadly overlapping ranges, and need more study. Variety maculata is reported to flower 2-4 weeks later than var. occidentalis. » Freudenstein, J. V. 1987. 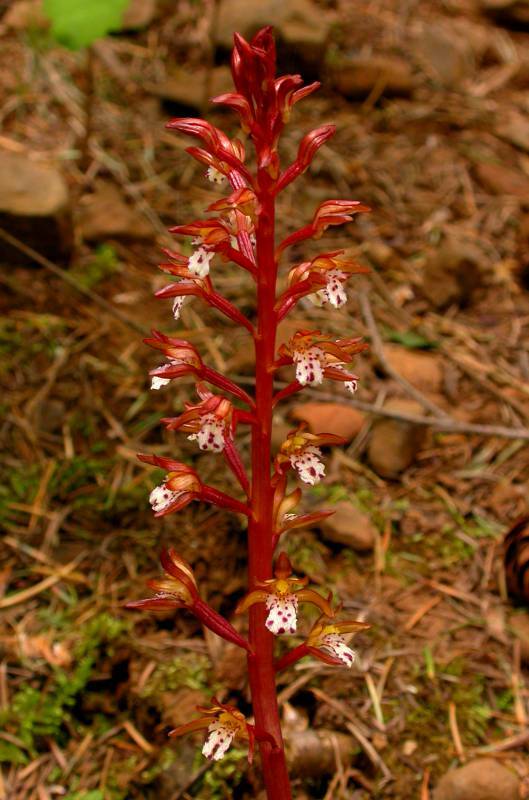 A preliminary study of Corallorhiza maculata (Orchidaceae) in eastern North America. Contrib. Univ. Michigan Herb. 16: 145-153. Corallorhiza multiflora Nutt. var. sulphurea Suksd.